After his formal initiation, at the age of seventeen, he approached his spiritual practice with burning zeal and had his first glimpse of God Consciousness at the age of nineteen. After that glimpse of the Divine, he took a vow of lifelong celibacy and dedication to the realization of the highest state of God Consciousness. During the next three decades, Swami Lakshmanjoo soaked himself in the oceanic depths of Kashmir Shaiva philosophy, at every step verifying his intellectual understanding with his own personal experience. By 1965 news had quietly spread that the oral tradition of Kashmir Shaivism was alive and well, fully embodied in the person of Swami Lakshmanjoo. For the next twenty-five years, a regular stream of visitors from India and abroad sought his audience. To all sincere seekers, Swamiji freely distributed the treasure of his wisdom. In India he established the Ishwara Ashram Trust to carry out activities in a manner which would uphold the truths he himself had lived for. In the United States, for the purpose of carrying his message to all who had a spiritual thirst and longed to know the ultimate truth of life, Swamiji laid the foundation for the establishment of the Universal Shaiva Fellowship, which later was re-established with a focus on education as the Lakshmanjoo Academy. ~ Above quote and text is copyrighted material from the Lakshmanjoo Academy Staff and is graciously provided to us for use on Stillness Speaks website. For more teachings, History and Line of Masters in Kashmir Shaivism please visit the Lakshmanjoo Academy website where you can find videos, blog posts, podcasts, books, online courses, and upcoming events. Also, you can further explore all of his different forms of work through the right sidebar: videos/blog posts, books, special projects, and more. And, you can watch more of Swamiji’s videos in our library. 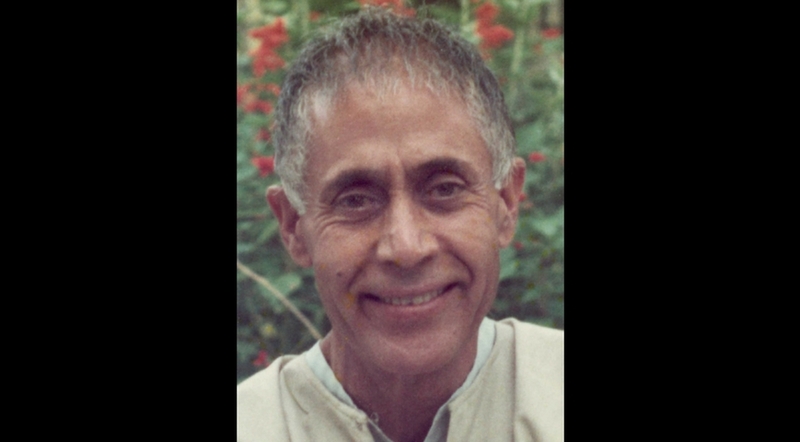 Unless noted otherwise, all content related with Kashmir Shaivism and Swami Lakshmanjoo on our website has been graciously and generously provided by John Hughes and his team at Lakshmanjoo Academy. Image: Swamiji’s image provided by the Lakshmanjoo Academy. post Swami Lakshmanjoo: What Is Successive Meditation?